Who doesn’t know Starbucks? Yes, the coffeehouse chain that you stumble across every street corner, with its bizarre mermaid logo, and its huge coffee cups. The same brand capable of attracting flocks of girls worldwide simultaneously with their fancy Pumpkin Spice latte around Halloween. Whether you love it or hate it, Starbucks operates in more than 70 countries with almost 24, 000 locations worldwide – according to Statista, the company was worth 2.9 billion dollars in 2016. In the last 10 years, Starbucks’ revenue growth almost tripled, reaching the mind-blowing 21.32 billion dollars last year. Have you ever wondered why Starbucks baristas always for your name at the checkout? The technical reasons are various: to keep better track of the accumulated orders of the queue, to avoid confusion with the drinks, and to reach you out faster if you had to wait more for your order. However, these are not the only reasons. Starbucks discovered that when you really appreciate the experience of a brand or a product, you will share it all over social media. Especially if it has your name on it. People love hearing about themselves, and personalized products are their favorite. And the best part? 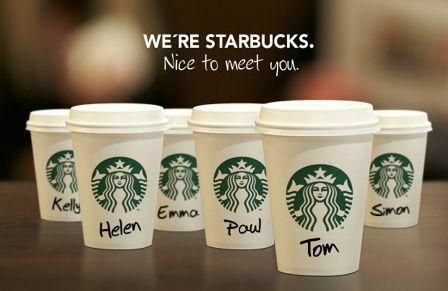 When you get their name WRONG, the coffee cup becomes even MORE interesting for social media sharing. In fact, you are more likely to share a photo of something with your name written the wrong way – because it’s fun, and you can laugh with your friends about it. Free advertising and social media engagement for Starbucks just by getting their clients’ name wrong! Lesson: get personal with your customers! Whatever your product or service is, find a way to personalize it. People will love it, and share it with their friends without your intervention. …a number that doubled to $1.2 billion in only 2 years, as of the first quarter of 2016. The incentives program provides instant benefits to loyal members, and even more exciting prizes if you obtain the so-called Golden Status. As a result, people have strong incentives to get their Starbucks card and enjoy the benefits of the loyalty program, which ends up in more sales for the giant coffee chain. You can get more information on the benefits here. Another reason for the success of Starbucks’ Rewards is the Mobile Order & Pay system, which allows customers to order and pay remotely before reaching the coffee shop, and just grab their food and drinks already prepared for them at the right moment. Lesson: Many companies don’t see the power of having a loyalty program, but it works especially well in B2C companies where customers can easily switch to another product in the matter of seconds. Maintaining a system that prizes them for being loyal and making frequent purchases really pays off in the long run, because they feel compensated for their loyalty. 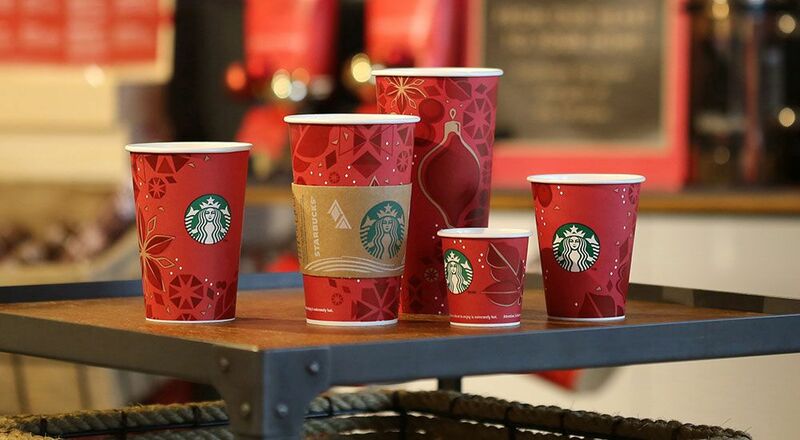 From the interior design of their coffee shops to the design of the cups themselves, people enjoy the full experience of Starbucks, and they make sure to share it with the whole world. How often do you see people sharing a photo of a coffee cup from a regular bar? Probably not very often. Because it doesn’t make them feel anything. Lesson: Having a great product is essential, but it is not the only important factor on your way to becoming successful. Make people feel something. Do you know why most controversial campaigns actually work wonders? They make people angry, frustrated, disappointed, but they work, because they make them feel something towards this campaign. Of course, always try to wake up positive emotions and feelings in people. But don’t focus your efforts solely on designing a great product if it’s not going to make them feel anything – make it a part of a real experience that they would like to share with their friends. Big companies don’t become successful by coincidence – so always keep an eye on what they are doing, and try to learn from it. And Starbucks definitely knows what to do to keep its customers happy – and happy customers are the best customers! Next Post The power of exclusivity: would you spend $300,000 on this purse?